Welcome to Holy Trinity, Kingswood. 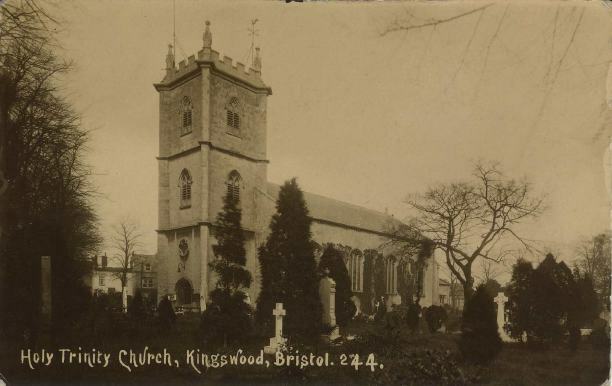 We are the oldest parish church in Kingswood and we look forward to welcoming you. Holy Trinity Church, Kingswood is an Anglican parish church in Kingswood, South Gloucestershire. 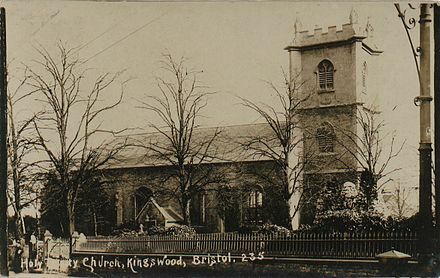 Until the early 19th century Kingswood had no church of its own, and was served by the ancient parish of Bitton four miles away. A church was considered an urgent requirement by Anglicans, as the area was a hot-bed of Nonconformity with theWesleyan, Whitfield Tabernacle and Moravian churches already in operation. The church was built within sight of all three and was given a tower so that it became more prominent than its neighbours. It was one of the first churches built from funds voted by Parliament to mark Napoleon's defeat at Waterloo, and hence known as a "Waterloo Church". The foundation stone was laid by the Bishop of Gloucester on 9 June 1819, but there followed a dispute over the title of the site which meant that building did not begin in earnest until 1820. The completed church was consecrated on 11 September 1821. The architect was James Foster. The church was damaged by fire in 1852 and the panelled ceiling in the nave was never replaced. The present chancel was added 1897-1900.